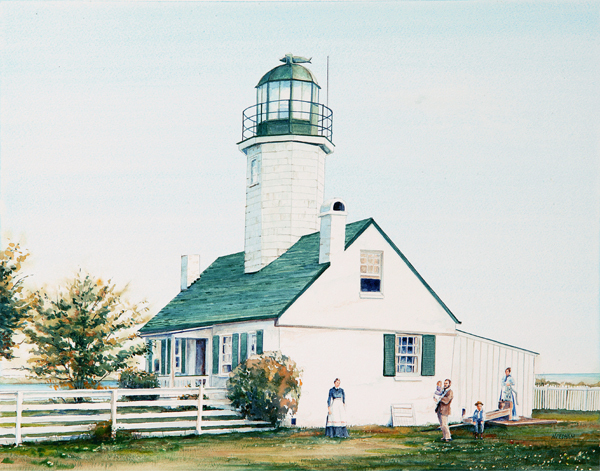 From 1849 until 1934 the Greenbury Point Lighthouse sat on the banks of the Severn River directly across from the U.S. Naval Academy in Annapolis, Maryland. A unique feature of the building was its wood-shingled, octagonal tower rising through the center of the roof.